Site editor’s note: The information below has been supplied by WAVESnz, a New Zealand organisation that supports informed consent and freedom of choice regarding vaccination. What you need to know about vaccines and childhood illnesses that your medical practitioner won’t tell you. 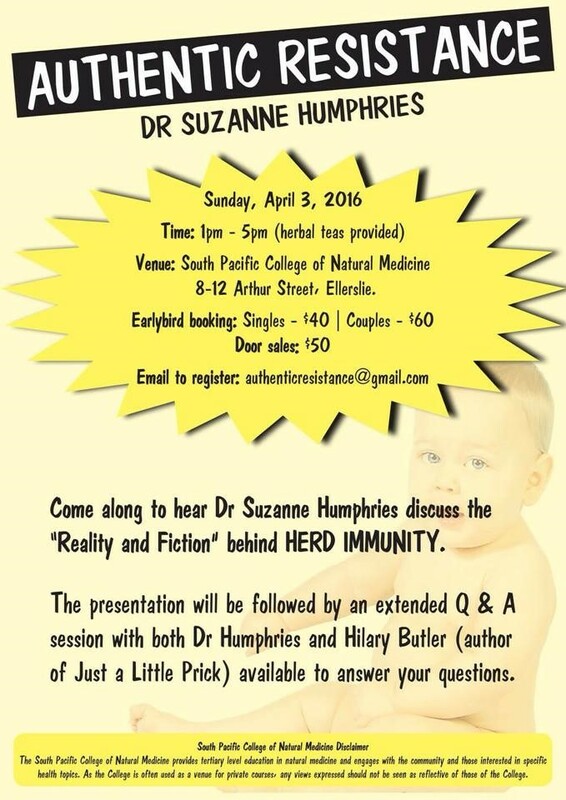 Also coming up in Auckland is a presentation by Dr Humphries, co-author of Dissolving Illusions who will be speaking with Hilary Butler, author of Just a Little Prick on April 3. For more details, please click on the poster, below.